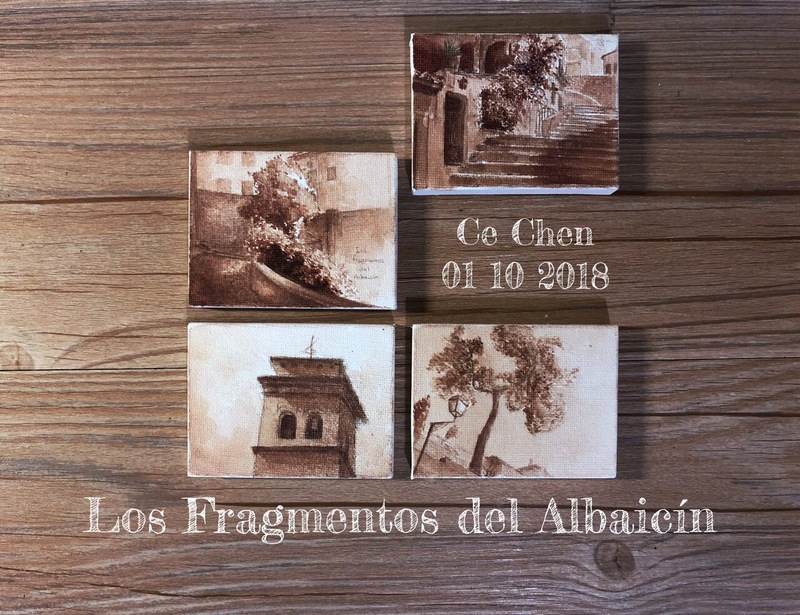 Los Fragmentos del Albaicín is a project that I have been planning since the major success of 25 Pieces of Romanticism. The original idea was to reproduce a site I enjoy visiting with massive fractional close-ups. 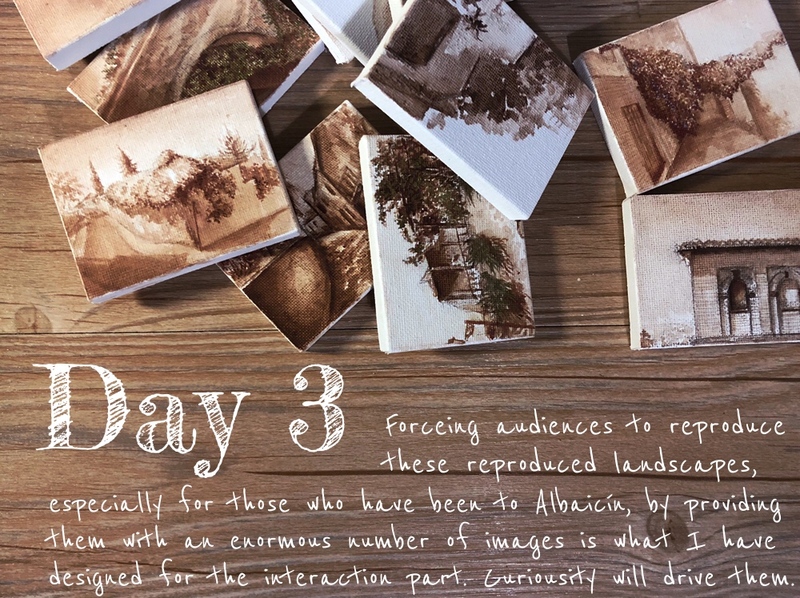 Through the number the I could demonstrate a personal understanding of large-scale scene comprehensively. 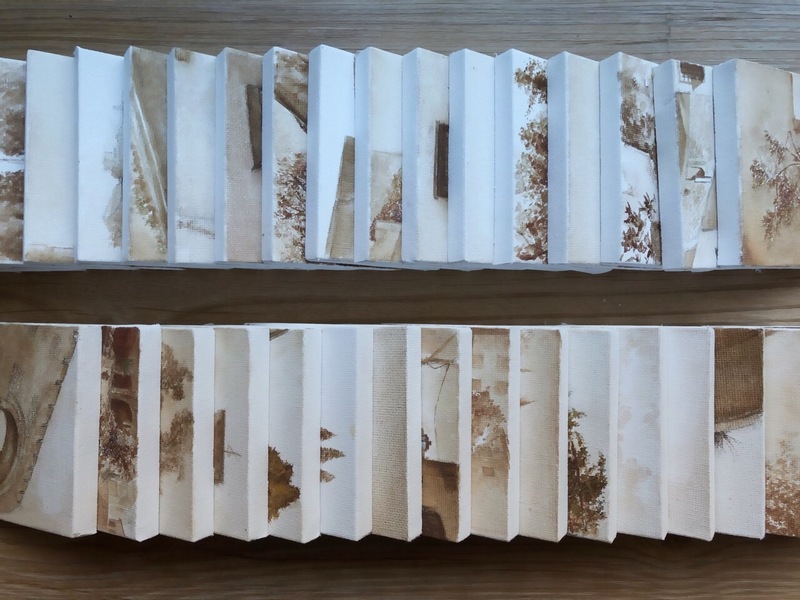 The small size of each piece could help to exclude unnecessary details and objects to appear on the composition and save these bits for another part to express. Albaicín was the primary site I have explored when travelling to Granada. 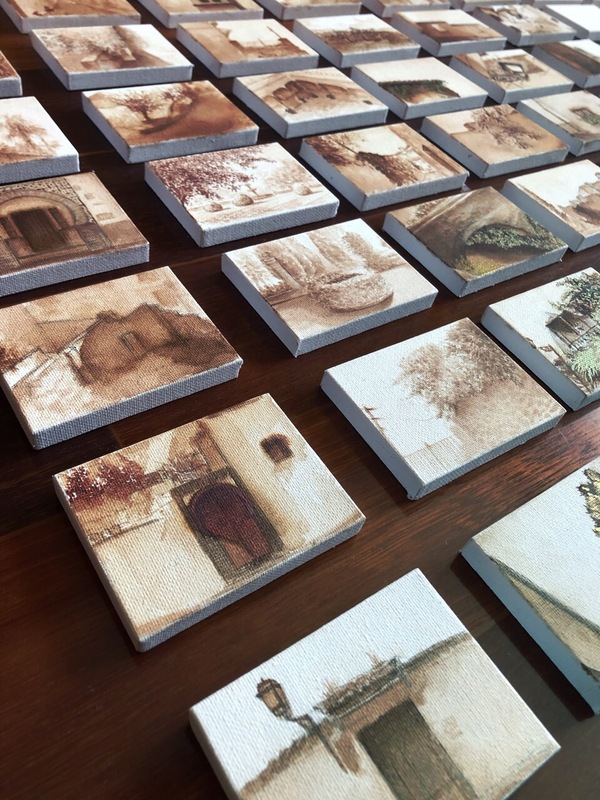 It is emotionally connected to my personal experience, also abundant with historical atmosphere as well as cultural details. Opposite the famous Alhambra palace, Albaicín is a perfect display of the residential history of the city. Ancient constructions are well protected and existed, while contemporary city maintenance further improved its charm with gardening and tourist spots. 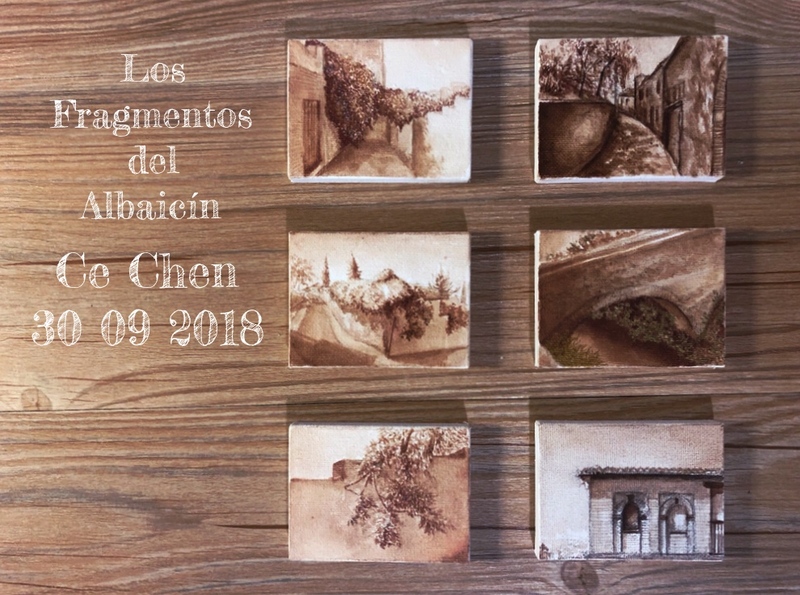 Albaicín is planned around a hill, the terrain divides the district with different level of height, which also provides tourists vast space to explore. 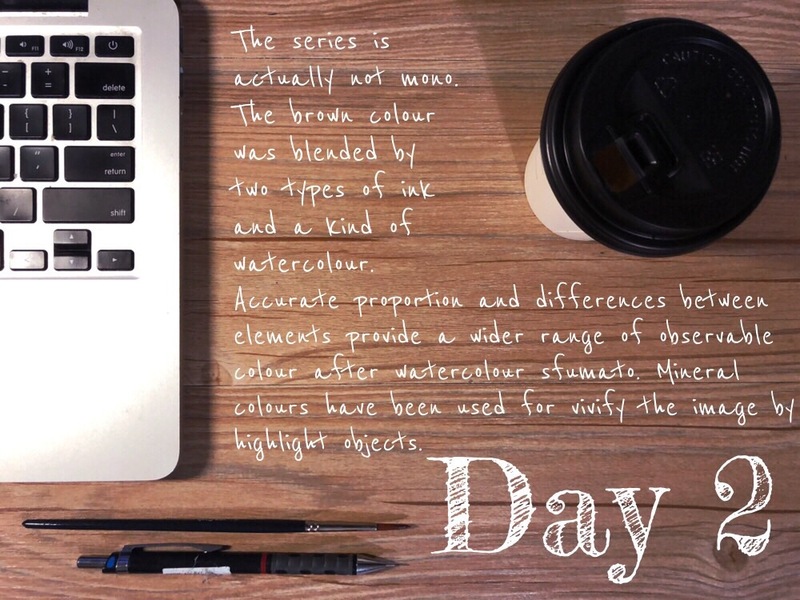 While climbing up to the hilltop, the winding route would redirect the direction you are walking towards to multiple times; tall walls and vimineous alleys decided scenes under a variety of distinctive light condition could be found in a specific period of a day. Exploring the hill at the different time of the day will further increase its fun. Endless views of the block, as well as the city of Granada behind you, changes with the sun floating above you. 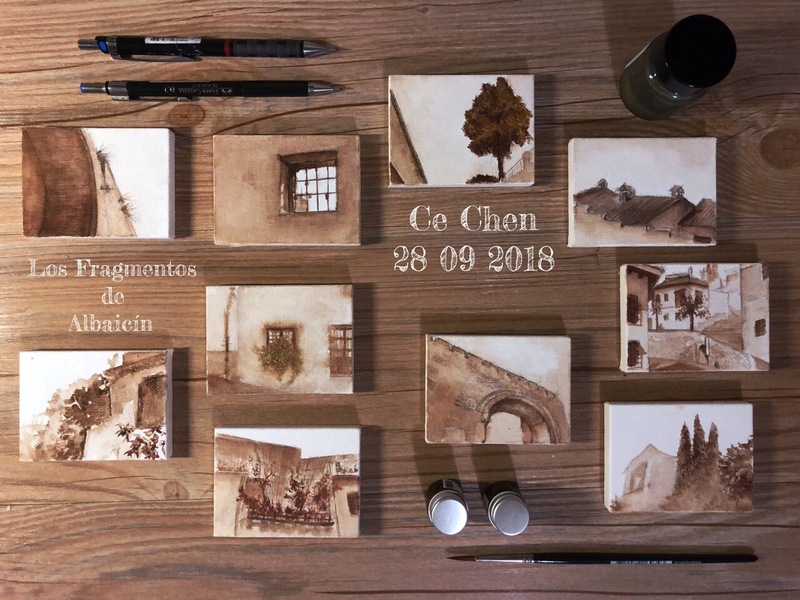 Interesting light contrast is exciting enough for a watercolour painter, needless to say, those flourishing leaves and flowers, and charming little cottages in Andalusian style. Visible colours are always beyond counting if you look close enough in the reflections of those white walls. How lucky for those people live in the city! 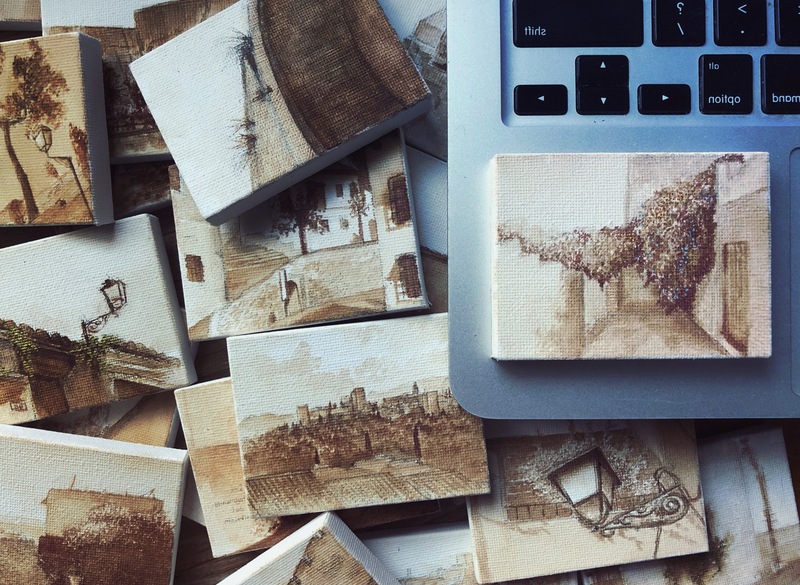 How lucky for those people, who can easily visit the city! 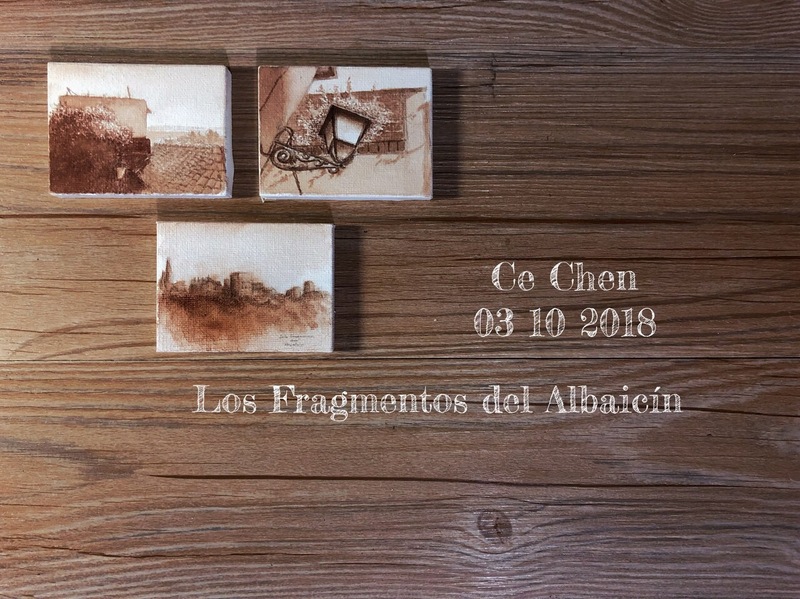 The project is not only a simple demonstration of natural and artificial scenes of Albaicín, but also a protest to political hostility, and a gesture of friendship. Chinese tourists indeed have caused many troubles and left a relatively bad reputation in international society. Plus the long hostile between Communism countries and western countries, Chinese people are strictly limited to travel abroad, by, surprisingly, foreign countries. 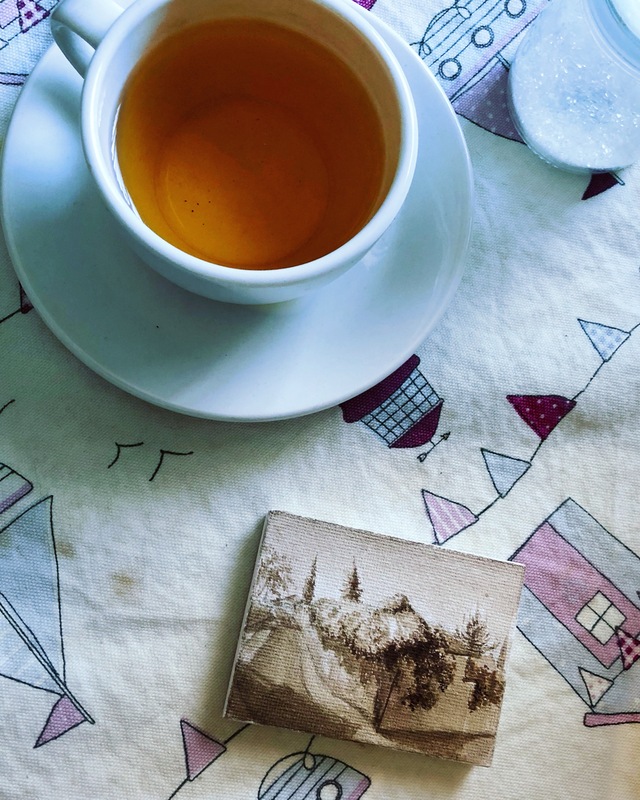 The complexity of applying for a tourist visa is extremely troublesome; and basically, every other country requires one for a Chinese to walk in their territory. Sometimes I was thinking, yes I need to obey and honour rules that settled by other counties because as a matter of fact, I am a guest, but later when I think it through more deeply, I am a supporter of open-up, I am polite and friendly, so why countless Chinese people like me have to pay for the sin that committed by others? Especially to bear bad reputations that caused by others, and prejudices formed due to the fixed impression of the rudeness of some Chinese people. Also, I am showing, a foreigner could love, understand and respect a culture, a view and a lifestyle no less than any locals. If you treat Chinese people like me more patiently and with respect, I believe a bridge of communication and friendship which is potential of achieving higher courses can be established! Therefore I decided to express the hard-work for an ordinary Chinese person to see a scene that could be physically reached by westerners simply to the international society. 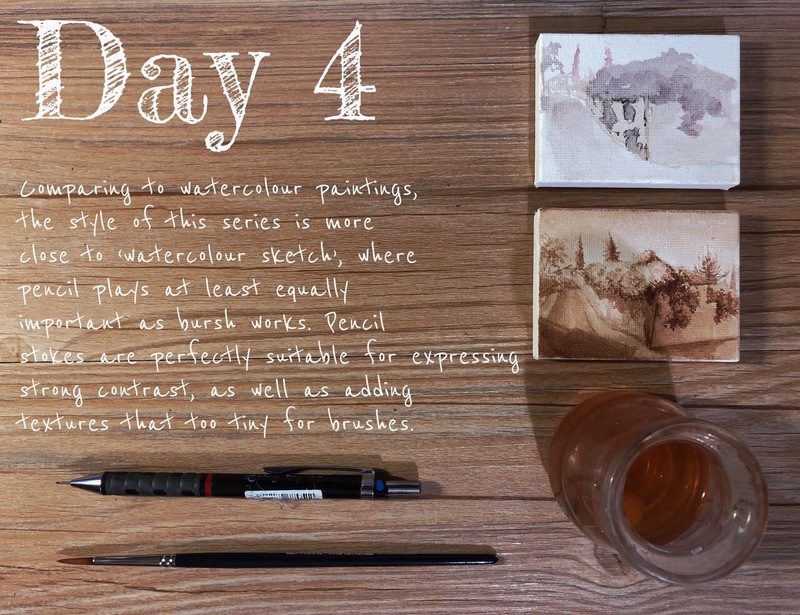 I chose a complicated hand-draw technique to paint, each of them may take up to 8 – 9 hours to finish. 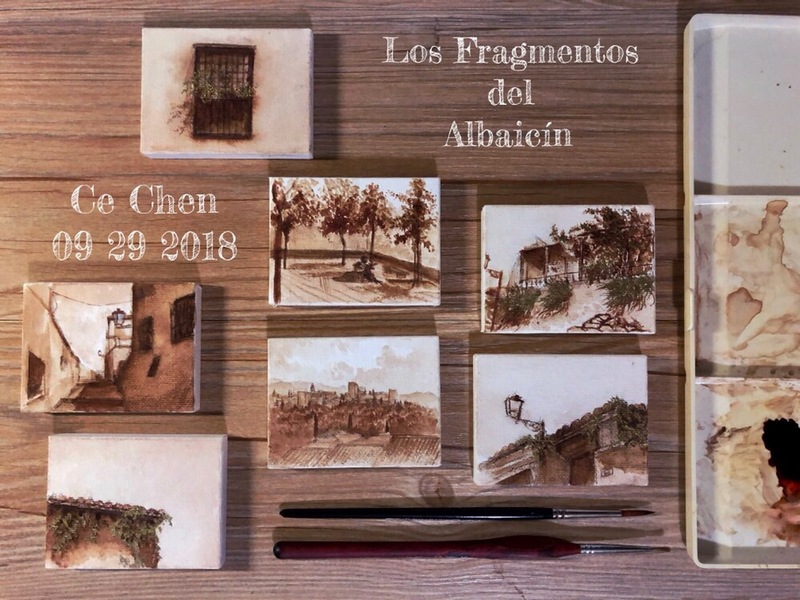 From the number of these pieces, I demonstrated both necessary and unnecessary works and time spent for a brief exploration of a city block, and my willingness to explore and respect the tiniest bit of Albaicín. Also to those Chinese people who have been abroad but did not pay attention to their behaviours, the hard-work of earning this rare chance is a warning precept. People like me need to work much harder than them to see the outside world, yet people like me is baring unnecessary prejudice for them. I hope, through this work these Chinese tourists could realise how treasure such opportunity is for others. To those people do not have a chance to see the outside, this is an encouragement of the pursuit of liberty. There is a flourish value in China that young people are longing for travelling but could be satisfied by only watch it through social media. And under the pressure of traditional value, youths are commonly restricted by their parents, and they are not allowed to leave home too far. I encourage these fellows to bravely take a chance, through hand-works they may prove they are qualified as a young eagle leaves its nest. Only a few people take the first step is not gonna to change the major value of a society. 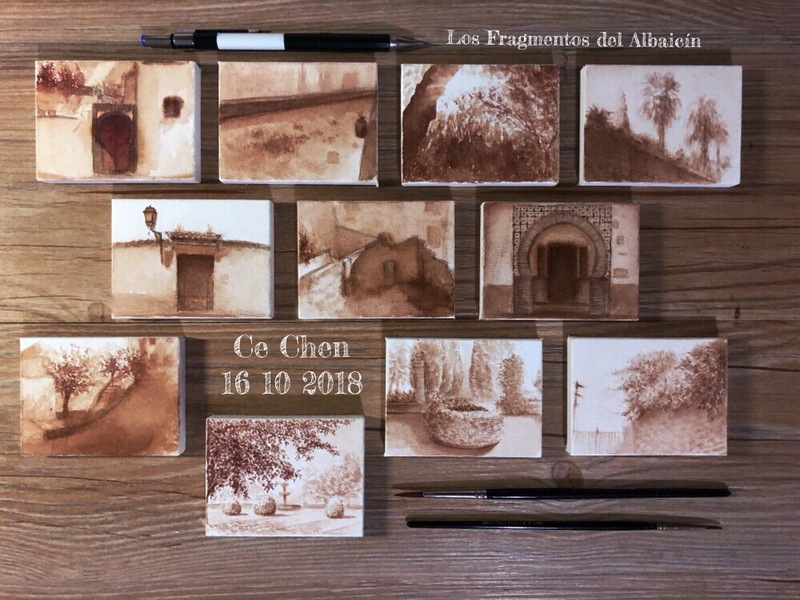 The first part of Los Fragmentos del Albaicín majorly relies on watercolour techniques to express details and scenarios in Albaicín. 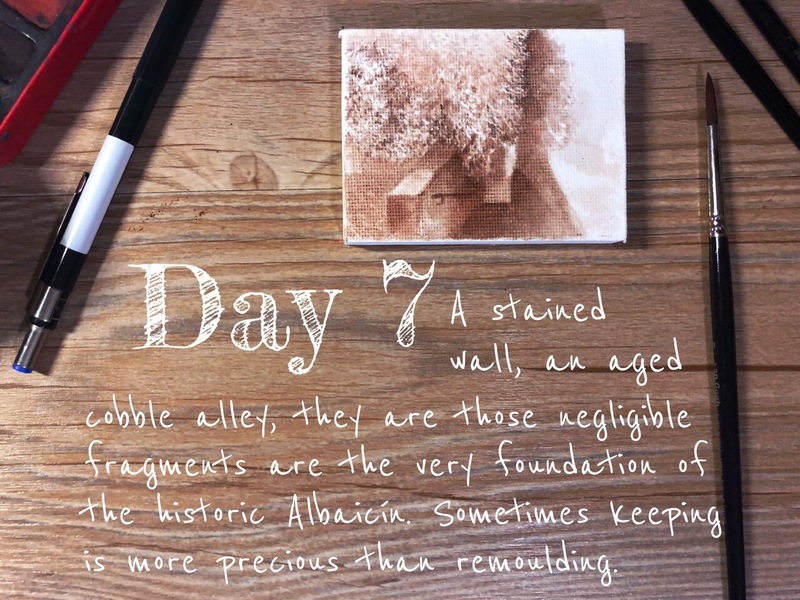 Some of those pieces are a simple combination of pencil sketch and watercolour fill-in. 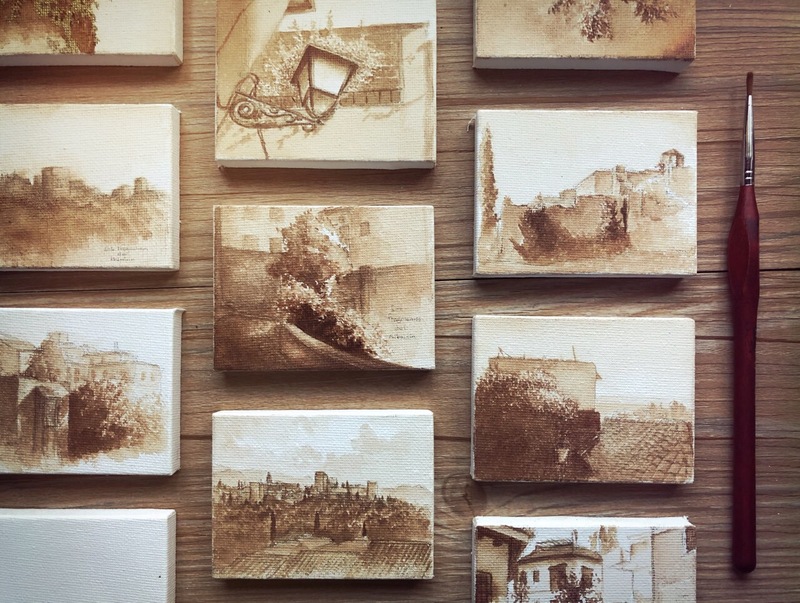 And a part of those is pure watercolour paintings with an emphasis on light contrast. 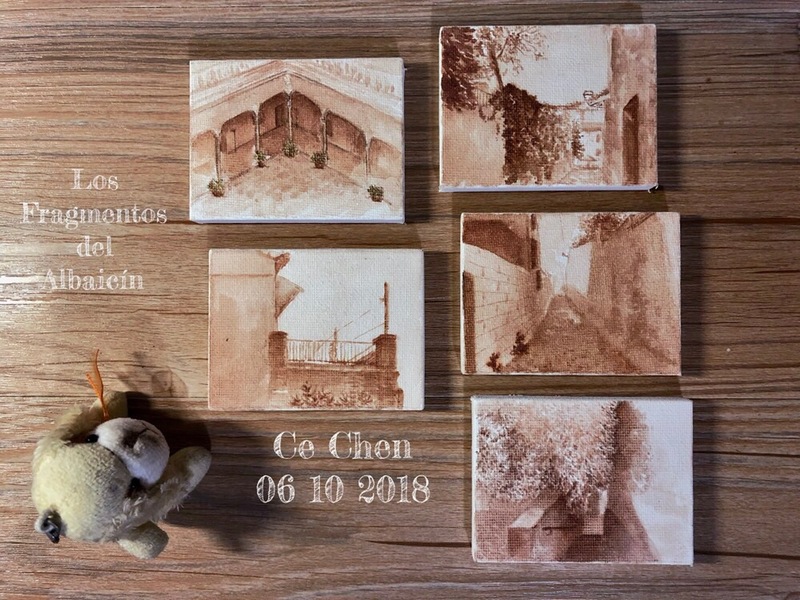 8 Pieces involve in the utilisation of mineral colour to dye the flourishing of some seasonal plants to show the richness of lives on a historic site, which is relatively uncommon in China, where places like Albaicín are protected in a no-man-entre-without-ticket manner. 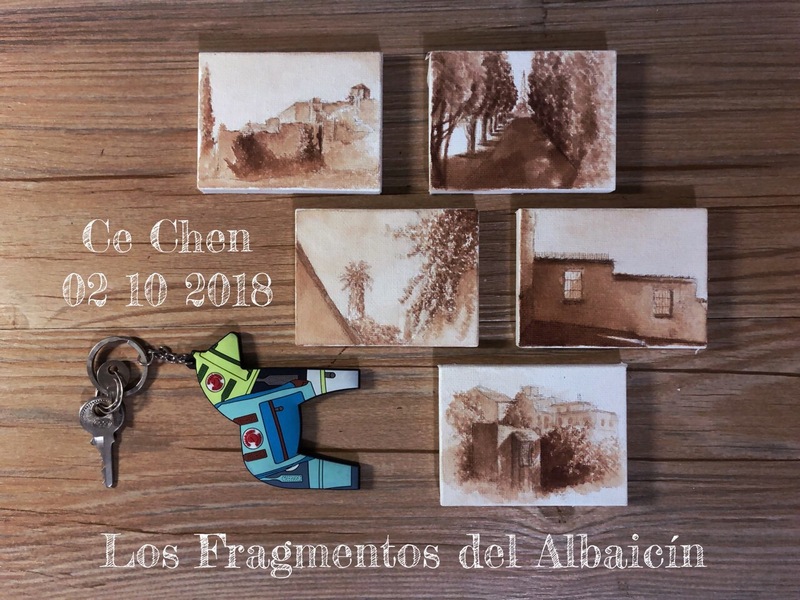 Scenes with evidence of residence on Albaicín are commonly chosen in Part 1 to demonstrate a good mixture of two space-time, shows a history of a thousand years sometimes can be alive by people still being a part of it instead it put it entirely into a museum. 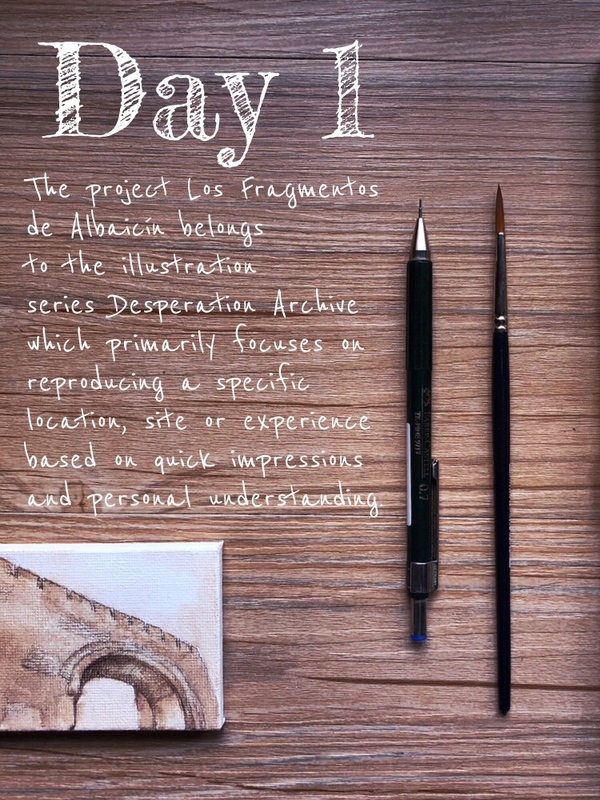 After days of development and a daily-based instruction about the intention of produce this project, Los Fragmentos del Albaicín slowly proceeded to stage 3(mineral-colour-used pieces at the beginning are considered as an individual stage), where the project became more metaphorical with abstract ideas and discussions of the definition of liberty. 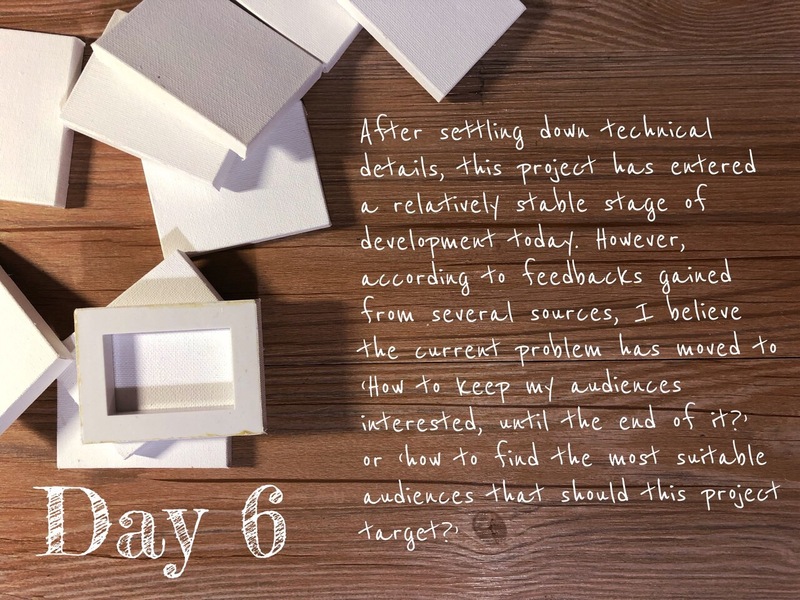 You will find the next stage in the next blog post. 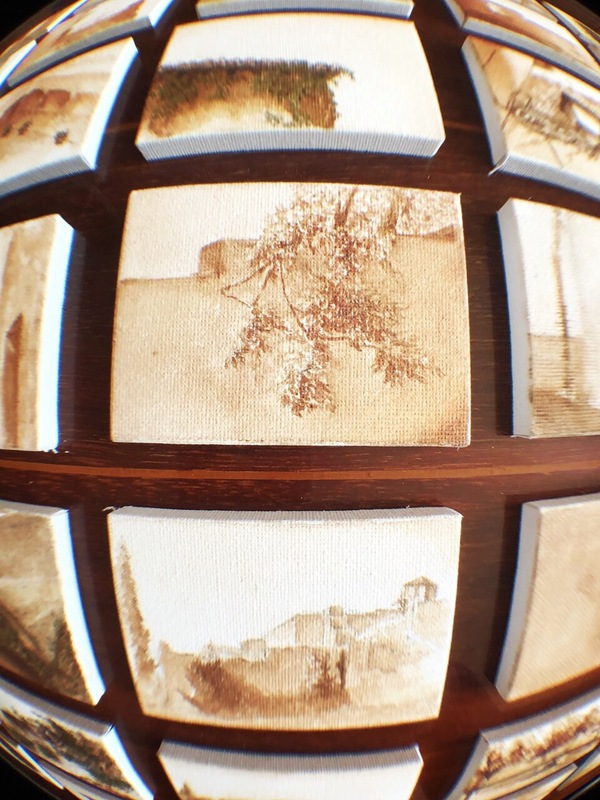 I have reevaluated another thinking of the project – to make tiny pieces of oil painting again. 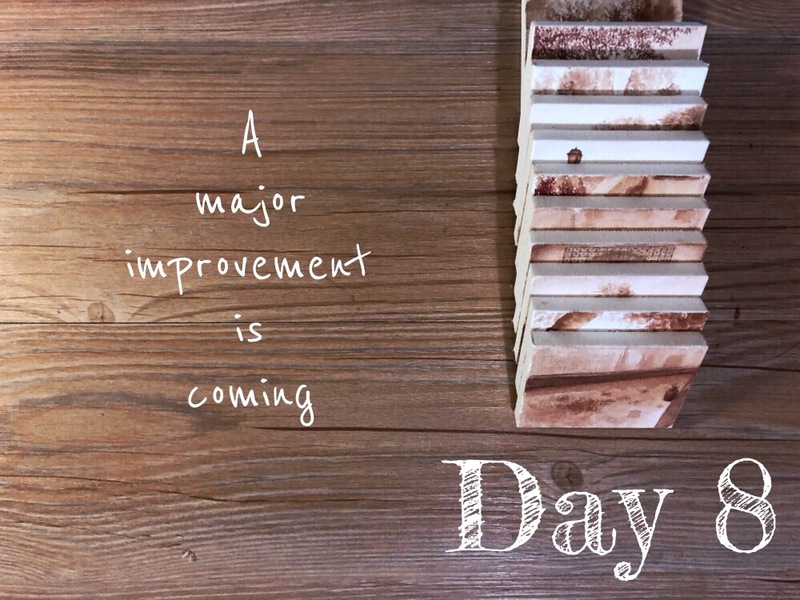 I thought it may take time significantly longer for each piece, and it may not be effecient enough to be fully prepared as soon as possible. 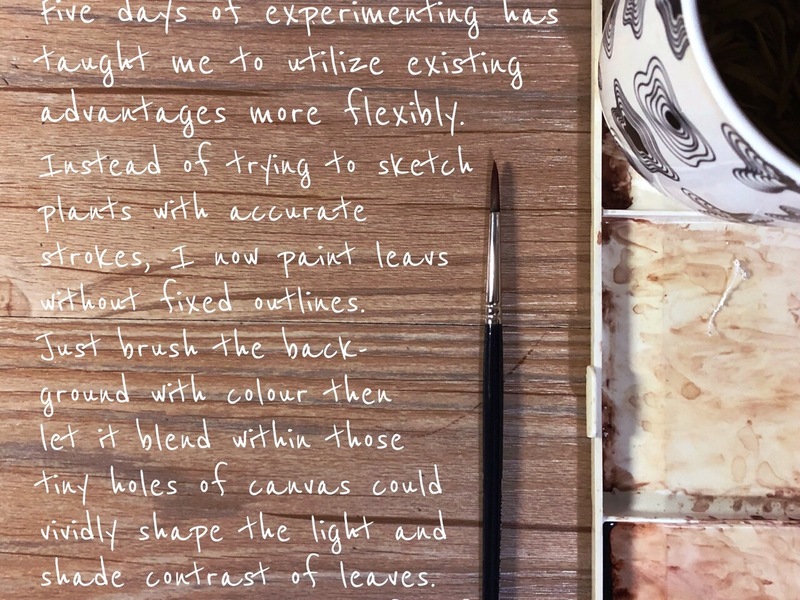 Considering oil painting sometimes require apply of multiple layers after waiting for its surface to be dry, it streghtened my will to abandon this plan. 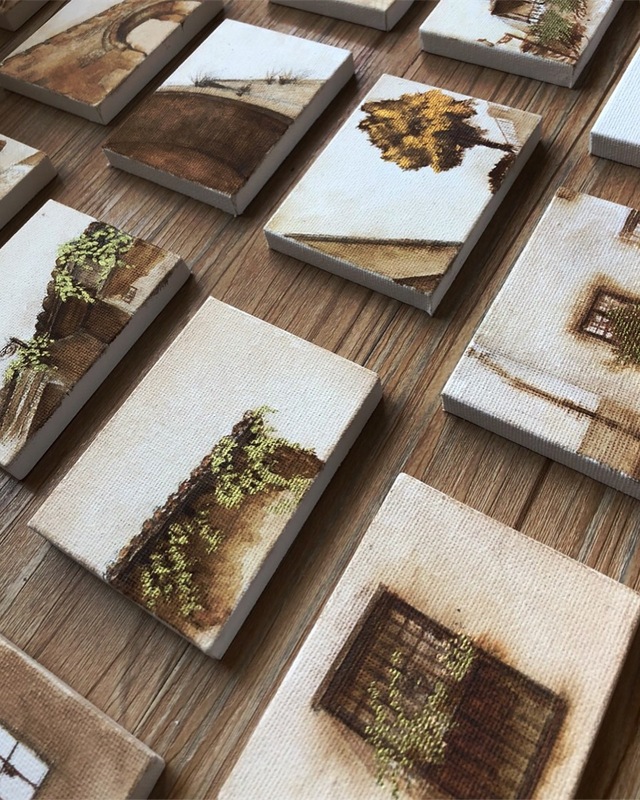 I totally did not expect that watercolour sketch could took that long and some pieces took more time than any prototype oil painting I have produced.